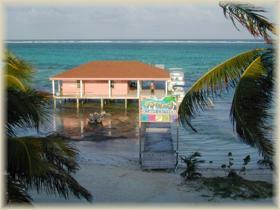 Patojo's Scuba Center - A fully equipped and operational dive shop. Elmer "Patojo" Paz owns and operates the dive shop. He is a Padi Instructor and Dive Master with 17 years of experience in the diving industry which allows for some of the best diving and instruction in town. 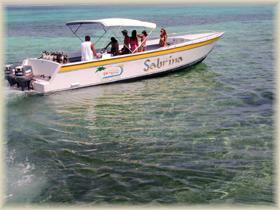 At Patojo's Scuba Center, regularly scheduled diving and snorkeling trips are planned daily. We visit numerous dive sites outside the reef to view canyons, caverns, wrecks and a variety of marine life. 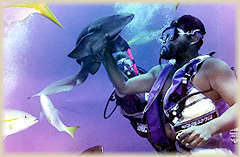 Padi Certifications of all levels are available upon request. Trips to the infamous Blue Hole and Turneffe Islands can be scheduled as well as fishing trips, whether it be deep sea or reef fishing. 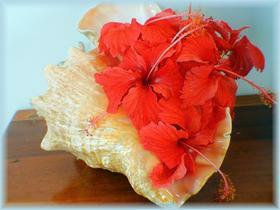 We offer customized charter trips. Please email with specifics for a price quote. WE OFFER A FULLY EQUIPPED DIVE SHOP. 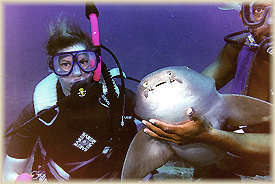 Patojo's Scuba Center is situated about 20 yards in front of The Tides Beach Resort. LOCAL SCUBA DIVING - We have 50 to 60 local dive sites in San Pedro, including a marine reserve, name The Hole Chan. We offer 2 tank dives (same day ), 1 tank dives and night dives. PADI DIVE COURSES - Patojo Paz is our local Padi Dive Instructor. We provide all levels of certifications. SNORKELING - You can do a one stop snorkel trip to the Hole Chan or a two stop to the Hole Chan and Shark Ray Alley. It's a 2 hours fun filled experience. ASK ABOUT DIRECT BOOKING DISCOUNTS! It includes: a theory session, pool session, 1 tank dive, equipment, tanks and weights. It takes about half day( 3 to 4 hours) to complete. Description: 4 open water dives needed to complete your certification. It includes: 4 open water dives, equipment, tanks and weights. It takes 2 days to complete. Description: A full certification class. It includes: an academic session, confined water session, 4 open water dives, PADI PIC Envelope(the application that PADI requires to process your dive card), PADI Open Water Dive Manual, Log book, equipment, tanks and weights. It takes 3 to 4 days to complete. It includes: 5 dives(2 core dives and 3 electives), PADI PIC Envelope(the application that PADI requires to process your dive card), PADI Advanced Open Water Dive Manual, Log book, equipment, tanks and weights. Packages are per person and based on double occupancy.